As the government takes bolder steps towards evolving a better healthcare system, citizens too need to make health insurance as a core pillar of their financial plans and avoid relegating health insurance to being a mere tax saving instrument. The importance of having a health insurance plan cannot be underestimated. Surprisingly, many people still consider it as a tax-saving avenue rather than a core constituent of prudent financial planning. A monstrous 63 million people face poverty every year; this neutralizes any advances made by the rising income or different government schemes designed to reduce poverty. The consumer price index inflation for India averaged at about 7.5% for 2015 (average 6.4 over the period 2011-015); the cost of healthcare has been rising at 13-15%. This creates more concern over the ability to meet health-related costs for most of the citizens. To make health insurance more attractive, the government introduces tax incentives as part of the agenda of making healthcare affordable to all. You can get an income tax exemption for up to Rs 55,000 of your income simply by undertaking a health insurance plan for your family and for your senior citizen parents. However, to put tax saving before health needs is tantamount to putting the cart before the horse. The growth of General Insurance has triggered the development of various products that cater to different income segments and family sizes. Insurance is not one size fit all sort of a solution. You may end up purchasing a product that does not suit your needs; so simply looking at the tax-saving incentive as the main criteria for making the choice would be an ill-advised thing to do. Careful evaluation of plan for your health needs is a prerequisite for settling on a policy. The impact of a critical illness episode, especially if it relates to the breadwinner can leave a family devastated financially. In many cases, it not only results in the sale of family assets to meet the cost of healthcare, but also leads to dipping into vital income sources. 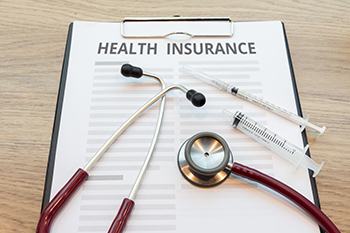 A good health insurance plan should be based on foresight which will not only help you save on taxes, but also stabilize your family financially in the event of such an occurrence. A number of alternative channels to enhance tax saving can be exploited. You probably haven’t exhausted them all. Health insurance policy will save you more than just the tax; it will secure your family financially and ensure coverage during the worst of times.